Product-related impurities, including degradation products. 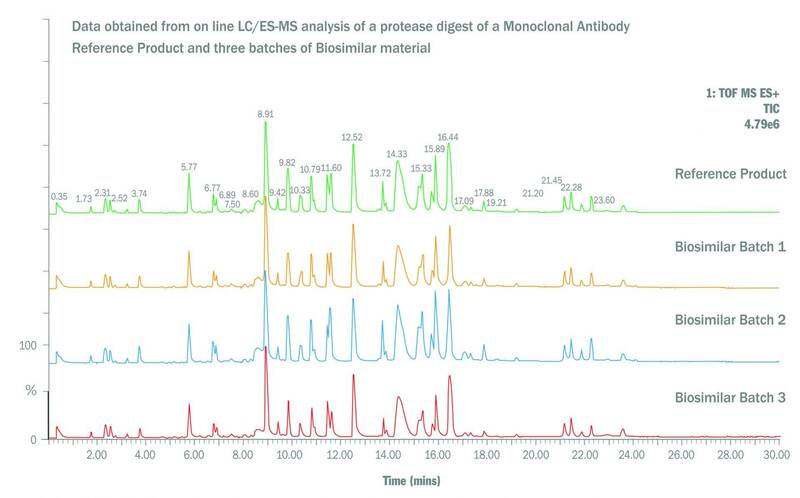 Peptide mapping is the generation of specific protease digests of the biopharmaceutical followed by analysis of these digest products using on-line Reverse Phase-High Performance Liquid Chromatography with Ultraviolet (UV) and Electrospray-Mass Spectrometric detection (LC/ES-MS)). These experiments provide molecular weight information for the peptides released from the product using the protease of choice. The data obtained are able to provide mapping confirmation of the DNA-derived sequence, but not confirmation of the primary (de novo) sequence of the protein.